Knight Guardian is a perfect game for everyone. Toss the bat flings into the slots of each knight to see how many points you can score for catching the bad guys! This is a perfect game for schools, fundraisers and many other events. 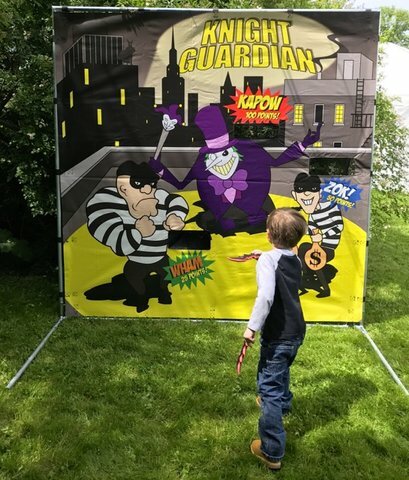 Knight Guardian can be set up indoors or out.